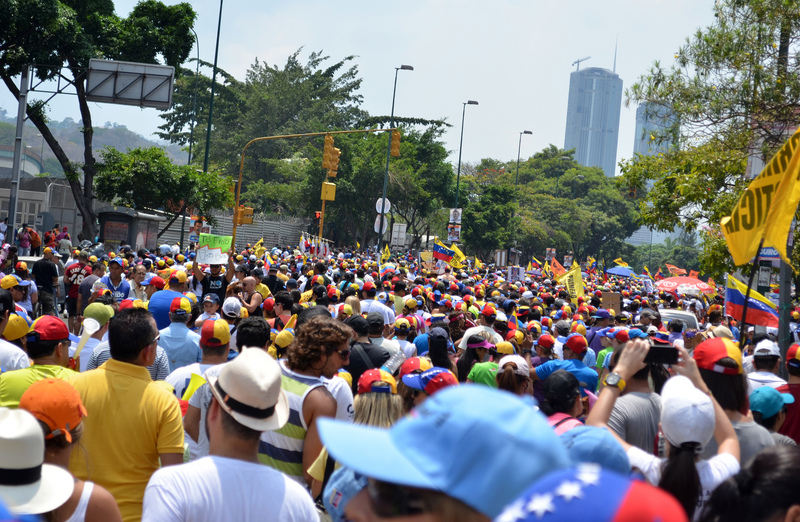 A photo from an anti-Maduro demonstration in Caracas, Venezuela. European Union sanctions against Venezuela have been extended until November 2019 in a bid to put more pressure on the crisis-hit country’s President Nicolas Maduro and his government. The extension, which was announced on November 6, came for what the EU said were human rights violations and undermining of democracy and the rule of law under Maduro. As reported by Al Jazeera, the EU had imposed an arms embargo in November 2017 and added various officials to the sanctions list over the course of this year, most recently in June in response to Maduro’s re-election during polls marred by an opposition boycott and claims of vote-rigging. Once one of Latin America’s wealthiest countries, Venezuela has been struggling with a hyper-inflationary economic meltdown in the wake of the crash of oil prices in 2014. According to the European Council, its decision to extend sanctions was taken “in view of the continuing deterioration of the situation in Venezuela”. “These measures are intended to help encourage democratic shared solutions in order to bring political stability to the country and allow it to address the pressing needs of the population,” the council said in a statement.